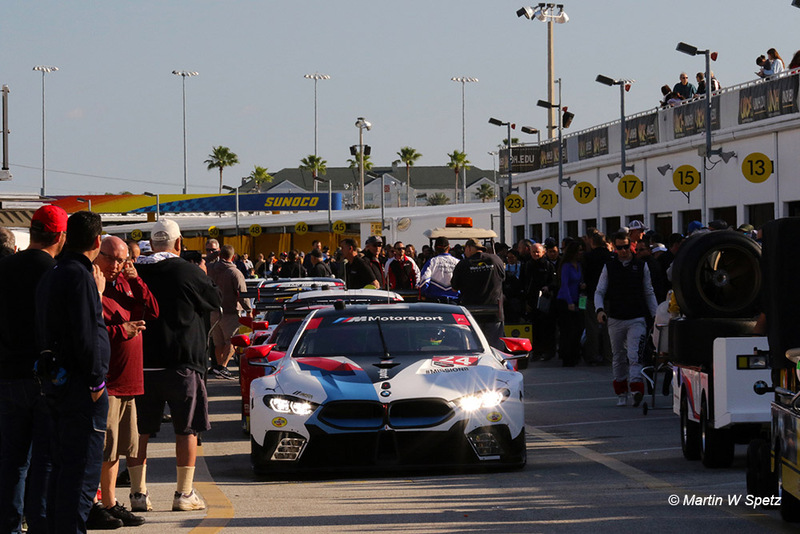 With no new manufacturers, no new cars and very little movement in the driver market, the GTLM class at the 2019 Rolex 24 Hours may have had very few storylines to follow outside of the racing itself this year. 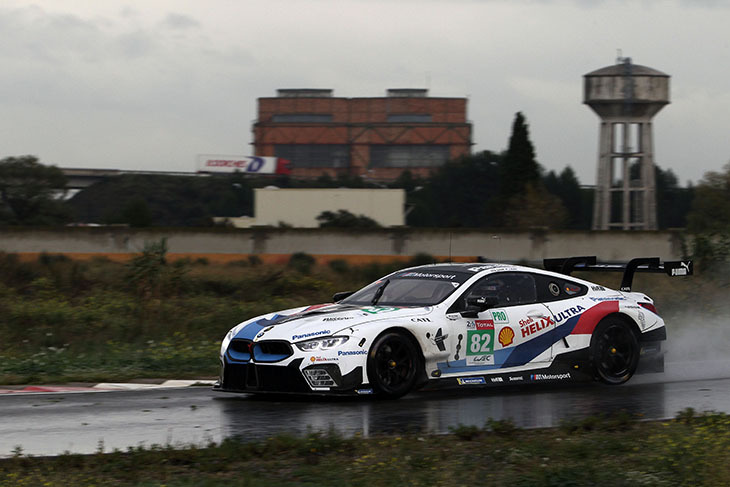 But, with the addition of Alex Zanardi to BMW Team RLL’s driver stable for the event, the nine-car category is set to receive an abundance of attention during race week, and for good reason. The 52-year-old Italian, with two CART titles and since losing his legs, 20 handcycling medals (including, of course, Gold and Silver medals at the London and Rio Paralympics) to his name, is back racing in the USA and is highly motivated to get a strong result in his Rolex 24 debut. Speaking at the Roar, Zanardi explained that the Rolex 24 Hours has been on his bucket list for a long time, so it was an easy decision to choose the Floridian classic over the Le Mans 24 Hours in June. “It’s really difficult because it’s hard to explain what it means to do the Rolex 24 Hours,” he said. “It’s very special, to drive a beautiful BMW race car for the RLL team, and to be mixing in with this field. This is something I always wanted to do, and finally I’m here. It’s very very special, and to be here with all the fans, and be stopped every foot, it’s really sweet and I know that many fans support me in this country which gave me the greatest opportunity of my life. The plan for this Rolex 24 appearance was decided in Germany, in an impromptu discussion between Zanardi, Jens Marquardt and Jörg Kottmeier. Since the announcement back in 2017, he’s been hard at work, preparing for the challenge, ensuring he’s ready physically and capable of driving the car, in pre-event tests (below). “This plan goes back to a Christmas party in Munich where after the official ceremonies I sat with Jens Marquardt and Jörg Kottmeier, who are the big bosses but also two great friends. Jens was enjoying his red wine, and he asked me if one day I wanted to be involved with the M8 in a 24-hour race, he asked me what I would prefer, Le Mans or Daytona? “And he was probably thinking I would say Le Mans because for European drivers it represents a lot, but I had no doubt in my mind that I wanted to do Daytona,” Zanardi, who is driving #24 GTLM BMW with Jesse John, John Edwards and Chaz Mostert in this month’s race, explained. “It’s a dream, it’s something I’ve wanted to do, because I grew up here in the USA, and I heard so many stories about this great event from drivers who had been my opponents. In the race, he’ll drive a specially adapted M8 GTLM, which unlike the other BMW touring and GT cars he’s driven in the past, doesn’t require the use of prosthetic legs to control. Instead, he’ll accelerate and steer with his left hand using a throttle ring, and brake and shift gears using a custom-built lever with his right hand. 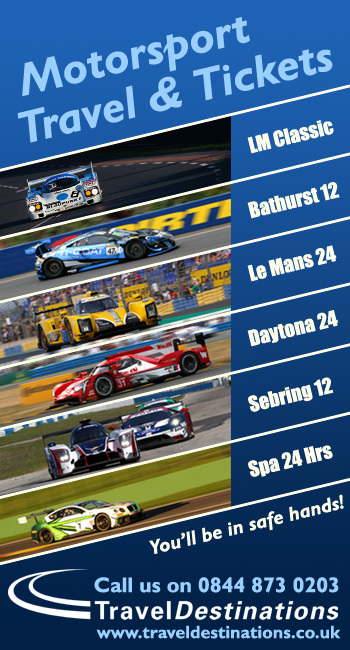 It’s a subject that RACER.com’s Marshall Pruett wrote an in-depth piece on during the Roar, so I’d point you in the direction of that piece, to get the full lowdown on how he’ll drive the M8 in the race. So what’s it like to drive a GTLM car with his new controls? Zanardi, who has competed in a 24-hour race before, back in 2015 driving the Z4 GT3, likens it to playing the same song, but with a different instrument. “To some degree, you can’t compare the two cars, the M8 is a very sophisticated machine, capable of delivering very similar performance, but in a different way to GT3,” he said to DSC. “It’s the same song, played by a different instrument, that’s much more sophisticated. If you have no rules and no limitation in BoP and homologation, then every car (in GTLM) would be so much faster, so the performance overall is not that superior to the Z4. But the instrument, as I said, is delivering the same melody, that’s the only way I can describe it. When it comes to pit stops and driver changes, the team has put a lot of effort in to ensure that teammate John Edwards and Zanardi are well drilled and don’t lose time. Watching Zanardi climb in and out of the car is awe-inspiring, the use of his upper body strength to negotiate the tight cockpit is a real wonder, a ballet of sorts. During the race he hopes to impress. He’s not in it to be a sideshow, rather gun for a strong finish to help BMW Team RLL get its season off to a positive start. And the BMW top brass believe it too, Jens Marquardt explaining to DSC at the tail end of last year that he wouldn’t be driving if they didn’t feel he could help them during the race. At the Roar test, while his best time was at the bottom of the list of combined times in GTLM, that doesn’t tell the whole story. In reality, Zanardi’s 1:44.340 was just three tenths off fellow BMW RLL driver Phillip Eng’s best, and 1.6 seconds off Magnussen’s Qualifying lap. “When everyone is so friendly and everyone says it’s so cool that I’m in the same field as them, it’s because they expect you to be behind, and then if you get in front they’re not excited anymore!” He joked. “So I hope I can cool some of them down during the race! The biggest question mark for Zanardi then, is what happens after Rolex. Whether or not he’ll race again, he says, is undecided, meaning this month could well be his last big race. 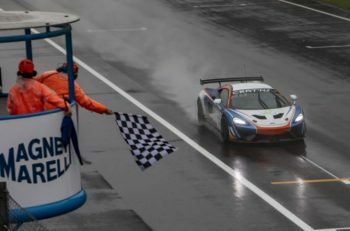 And after a career spent mastering single-seaters, winning races in touring cars and honing his skills in GT racing over the past three decades, in addition to his astonishing record in hand-cycling, this would be quite an event to mark the end of his journey. 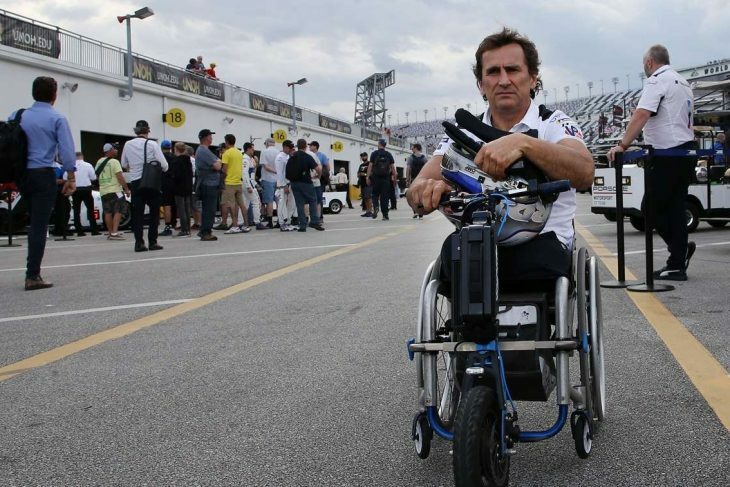 “In reality, this is a one-off thing, but I can’t guarantee you this will be the last race in my career,” said Zanardi. “I’m not sure what will happen. But, I think my last race was really at the end of the 2009 WTCC season, prior to the moment when I decided to focus on hand cycling. “Since then racing has just been like entering a playhouse, I don’t think I have the mental energy to compete at the level it takes for a full championship, but to prepare and dedicate myself to do an event like this one is very fascinating for me. I cannot tell you that after this race if everything goes well, it will be over. “Maybe someone will ask me to do another race, and I would probably say “yes!”. Asking a driver if he wants to drive a car is like asking a cat if he likes to catch a mouse. But, too much is too much, and I’ll be 53 this year. This is why I accepted this fantastic offer from BMW. 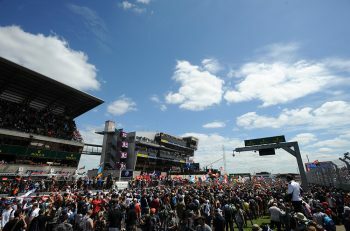 “And in part, I chose to do this, because it’s given me a chance to be in this paddock. Some of the people in this paddock made a huge contribution to my life, and making it what it is, which is a never-ending privilege, starting from Chip Ganassi, Jimmy Vasser, Mike Hull, Jeff Carter, and actually earlier I was kind of thinking about myself, that I’ve seen all these guys back in the middle of my career, and seeing how well they’ve done since. These guys are so good at what they do, and it’s just so great to see. “As I said I can’t go any further than a few feet before bumping into a friend who I want to go to dinner with. It’s good to be surrounded by family, I can’t wait for the race to see the stands full of fans who somehow know me and what I’ve done. “In Italy it’s hard for me to walk the street without getting noticed and stopped, but here it’s different, people know what I’ve done, some of the stuff that in Italy people weren’t able to understand. It’s fantastic. “I went to dinner with my wife and son (before the Roar), and there was this fantastic fan who paid my cheque at the restaurant. This is America, people in this country have such a sense of community.